Strange bedfellows. Montagues & Capulets. Odd couples. The history of mankind is peppered with unexpected alliances and unforeseen collaborations that by the very nature of their unpredictability have captured imaginations since man. 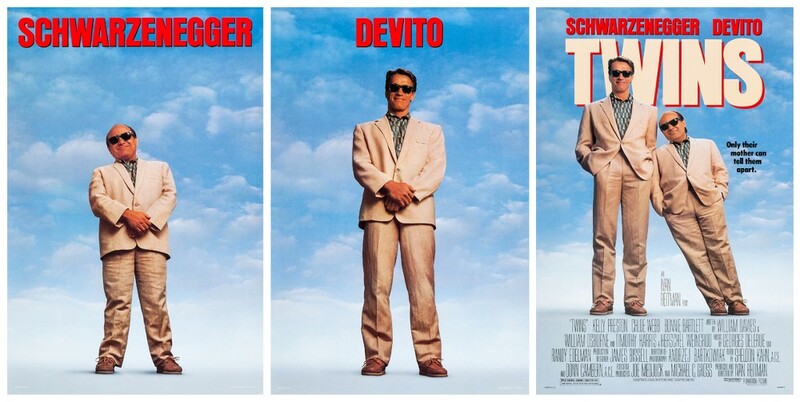 Arnold Schwarzenegger & Danny DeVito in Twins, Martin Riggs and Roger Murtaugh in Lethal Weapon, Harold and Maude in Harold and Maude – the motion picture business quickly tapped into the appeal of unorthodox coupling, best exemplified by The Odd Couple, the epitome of unusual unions, which has birthed countless sequels and spin-offs since its premiere in the sixties. 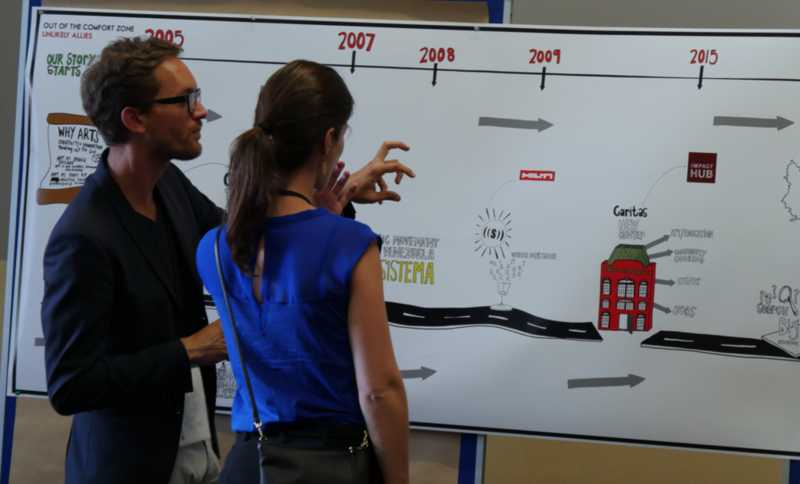 Last summer, the Impact Hub network also picked up on this unconventional potential, and brought nearly five hundred global thought leaders, artists, policy makers, corporate innovators, designers, to Seattle, Washington into a melting-pot convening of minds to tackle the theme, ‘Future of Cities’. This May, at Impact Hub Berlin, the two-day event was peeled back a tad, the number of attendees halved, and no particular theme took centre-stage. Instead, several ‘Impact in Practice’ mini-workshops were presented to eclectic audience members, amid a series of icebreakers & bonding exercises. Participants then pitched concrete problems they wanted to work on during the next day, before dashing to dinner where the real bonding commenced – as is always the case in any mass gathering of Homo sapiens. These problem solving sessions (Hackathons in millenialspeak) constituted most of day two, during this period most synaptic firing occurred, before being subjected to ethanol sautéing and real, real bonding, in Berlin’s Fluxbau at event’s close. So there I stood overlooking the river Spree, dismayed by the sinister neon signs of Coca-Cola, Mercedes Benz and other garish multinationals’ bat signals. I felt like the cardiac-arrest-recovering mother from Good Bye, Lenin!, who had just had a splendid time re-energising with loved ones, only to discover that The Wall had fallen and the behemoths of market fundamentalism had swamped the scene. Perhaps a quick mental recap of the past 48-hours will help, so I try to replay. I overshoot to a couple of months earlier when we as Guerrilla Foundation were first discussing ‘Unlikely Allies’ with Ryan Little who was curating the gathering. We channel all our support towards activists & grassroots movements, so a pluralistic assembly of diverse backgrounds could not possibly be complete without self-identifying activists. 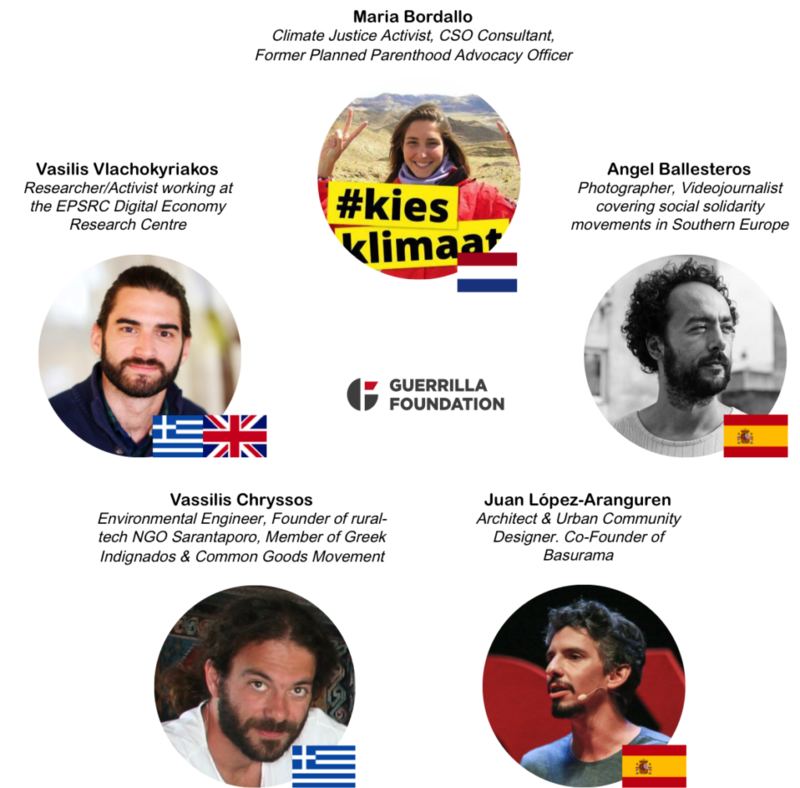 Ergo, we pitched the idea to cover all expenses associated with participation, accommodation, travel for five European activists, who would not likely (pun intended) come to the event, to do just that. What we considered crucial was diversifying the participant pool as well as highlighting the legitimacy of activists to be present at such congregations, for an activist is a too often snubbed unlikely ally. Luckily our pitch did not fall on deaf ears and was instead heartily welcomed. What is more, Impact Hub offered a chance to really inject some activist gusto into the event, so the workshop ‘Audacious Activism: How to Build a Social Movement’ sprouted. The fact that our hosts were not only open to our ideas but also figured out ways to build on them is an indicator of a healthy, organic co-creation mindset that more event developers need to take a page from. A few weeks, and one fairly fun video application process later, we had our five rebels raring to go. At the venue, participants were welcomed with what ought to become a conference mantra ‘no panels – all active participation’. Since most participants have gone through at least 20,000 hours of formal schooling and a set of eager panelists is always a remote control click away, conferences and convenings should generally be hostile places to such stifled, dry arrangements. You have brought this heterogeneous mix of characters to one place for a reason; stir the pot in such a way so as to make the most fantastic human soufflé you possibly can, Clarice. The five Guerrilla activists. We wish we had more of a gender balance, alas not many women applied. Our session, on Movement Building had an exceptional turnout – praise Che! You know you’re doing something right when people in suits are choosing to expend energy and stand after all the chairs have been taken and listen to what you have to say, even though you have a twelve inch beard and a pony tail. After covering the multiplicity of grassroots movements, the academic dimensions on repertoires of contention, examples of Guerrilla Foundation funded activists & initiatives, and systems thinking frameworks à la SmartCSOsLab, our activista Maria Bordallo was able to add a real, personal dimension from her canvassing project and the lessons learned from mobilising communities in the Netherlands to vote in the general elections. Furthermore, the poetic beauty of our session taking place in the Wilhelm von Humboldt Room, the man who said “if we glance at the most important revolutions in history, we are at no loss to perceive that the greatest number of these originated in the periodical revolutions of the human mind” was not lost on us. 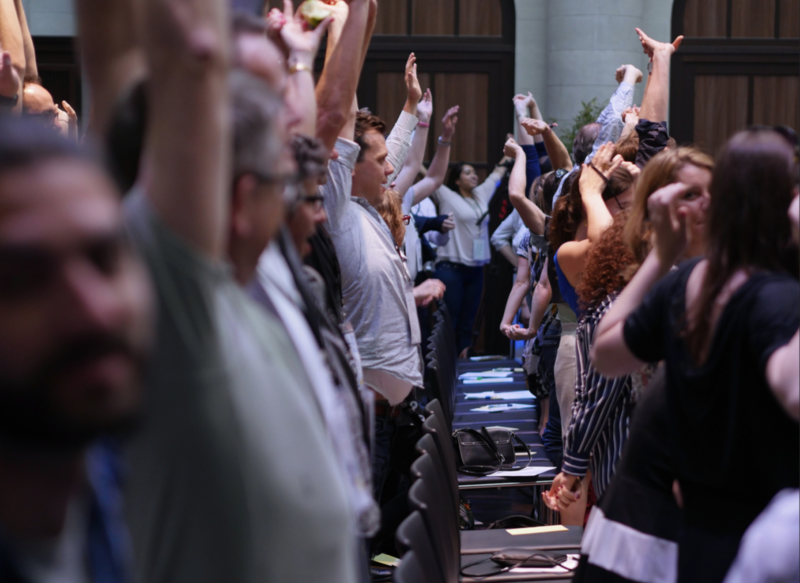 Attesting to the world is small truism, it just so happened that Guerrilla grantee The Wellbeing Project was also running a workshop, exploring what wellbeing meant in people’s personal & professional lives, wherever that divide or lack of divide existed. It was fascinating to see that while at the onset, participants were quick to claim that wellbeing was subjective, personal and too elusive a concept, at the close of the session a sweeping consensus was reached regarding ‘freedom to express oneself’, ‘safety to learn, fail and grow’, ‘having honesty & trust with others’, ‘ability to be vulnerable’ – all things people could agree were conducive to their wellbeing. Before day’s close, Gerald Wirth, the director of the Vienna Boys Choir, lead the congregation of still somewhat stiff individuals in song, namely native American chanting to Mother Earth. As a tie-dye wearing hippie, the practice came quite naturally on my end, but it was marvelous to see investment bankers cut loose, and hum notes to pagan deities in public in the absence of chemical stimulants. The staunchest cynics would have their defenses melted by Gerald’s exuberance, the melancholia of the lyrics and the ancient harmony of the music. That is how you do collective bonding. Intimacy is an integral component for effective group work, particularly when the individuals come from oft-unfamiliar backgrounds. If barriers to sharing, to honesty and directness are to be broken, such relationship nurturing exercises are absolutely essential. If I had a nickel for every conference that I’ve gone to where people have said “this was great, but what now? Is there no follow-through? Can we sustain the momentum achieved here?” I would have many, many nickels. Unlikely Allies however, was from the outset an outcomes-oriented event. So in addition to leaving all fired up, you leave connected to a growing community of collaborators who can help build that future you were working on together. 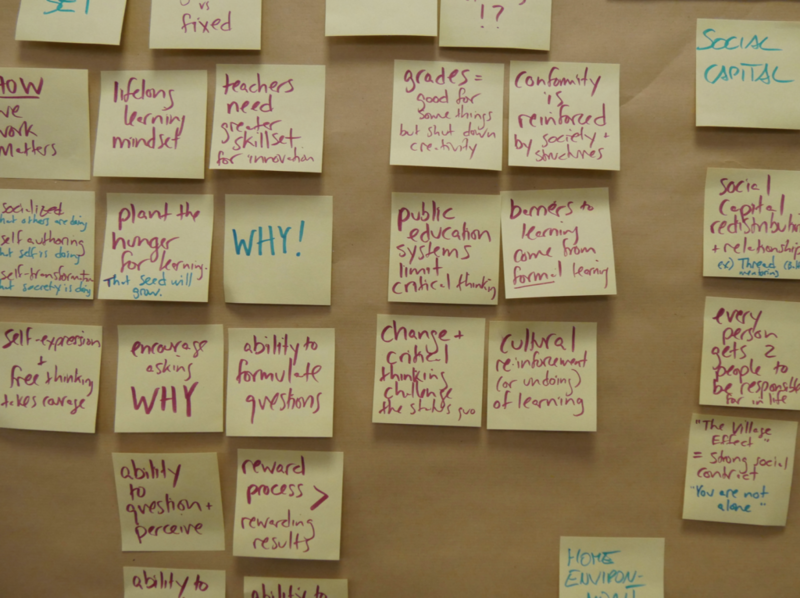 Finally, the idea is that these are events without end dates, meaning that the Impact Hub via alumni-style management will monitor the long-term outcomes and impact of problem-solving sessions initiated. Many white people cutting loose. Yes, it takes a superhuman effort in sobriety. It is not without some significant disbelief that I am able to say that the Climate Justice hackathon led by Dominic Hofstetter, director of Climate-KIC, that I was a part, of is evolving into the development of a Climate Advocacy Lab and is alive and kicking – certainly not your garden variety conference conclusion. Moreover, during the closing remarks each group presented their case and added thoughts regarding next steps, and over half of the fourteen groups said in some way or other that they need to build movements around their causes, which of course was music to my guerrillero ears. It is evident that movements are once again back in fashion and that of course means a large number of sheeple mimicing others and jumping on the band wagon without knowing why. It is extremely precarious to get caught up in the fad and simply slap social movement onto a strategy or cram grassroots activists into a management cycle without the proper training, know-how or understanding, because then you end up with the latest Pepsi ad, the step-by-step guide on how-not-to-depict-a-movement. 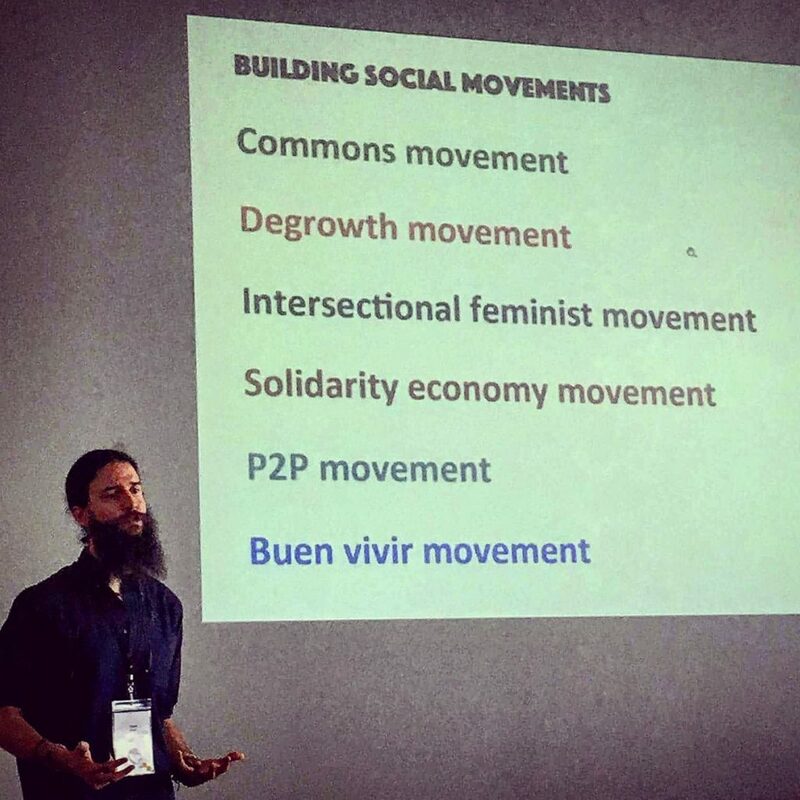 Grassroots movements are a real opportunity to co-opt the competition model and unite a diverse group of people under common goals while democratising solution finding so that a richer, more inclusive structure is created, one that will provide the space for contributions and wisdom to emerge from unexpected places. When we sat to debrief with our five activists, it was superb to hear some of our hunches confirmed. They too felt that there was not enough activist representation and that they were thus able to really diversify the demographics and perspectives in the room. They confirmed that without funding they would have never applied to come so the catalytic value of the grant was met. They found that some conversations were not very inventive organisationally, and that there was not enough talk of collective actions and structures, which they rushed to provide. They also saw many participants as hibernating activists, sleeper-agents simply ready to be woken up if the right passion buttons were pushed which they of course tried to do. Despite the focus on mixing and mingling, they were also extremely happy to share stories amongst themselves and find common ground and understanding from other fellow activists – we even managed to bring together two Greek activists who had known about each other, but busy lives not-permitting, never had a chance to meet on their home turf. Finally, our activists mentioned a palpable dominance of entrepreneurs and social entrepreneurs in the space, which of course was to be expected both given the overarching emphasis on the entrepreneurship space in the third sector, in development and particular in the Impact Hub network. Now, I have always been skeptical of the (social) entrepreneurship trend and not only because the Microsoft Word dictionary synonymizes it with capitalism. Entrepreneurship is often seen as a magic bullet cure to social ills, when applied properly it grows into something sustainable and scalable, the holy grail of development. However, the (social) entrepreneurship worship frequently disregards the systems thinking approach to global concerns, especially since concepts like degrowth & scaling down of industry, extraction, unrestricted growth are rather incompatible with the entrepreneurial models, so that would certainly be an unlikely alliance to explore. However, if a small group of LGBT activists was able to build the biggest fundraiser for the year-long British coal miners’ strike of 1984-85, to afterwards find the miners marching alongside them at the front of London’s 1985’s Pride parade, no unlikely alliance is that unlikely. At a time of ‘us versus them narratives’ gone wild, it is more pressing than ever to galvanise solidarity in communities, & intersectionally at that. Yin and yang describes how seemingly opposite or contrary forces may actually be complementary, interconnected, and interdependent in the natural world. We live in age where scientists are working on genetically engineering microbes to deliver nanoparticle drugs to specific parts of the body, turning pathogens into cures. Therefore we need to try harder at exploring counterintuitive synergies, such as engineering republicans to protect Planned Parenthood. 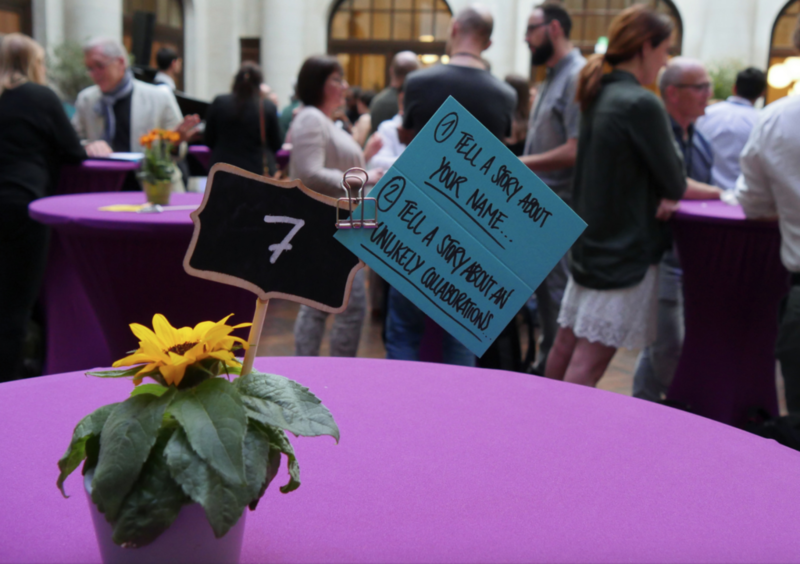 However we also learned that when it comes to cooking up events, if you just carefully select the ingredients beforehand, then take a step back to let them interact and naturally complement one another, you can still end up with a delightful meal. ‘Unlikely Allies’ is the name of a book that approximately four people have read, by professor Joel Richard Paul. It is about a merchant, a playwright and a spy who used espionage, betrayal and sexual deception to help win the American Revolution. While we are certainly not going to read it, we hope to see this gathering spread like populism, and we are going to take unlikely alliances seriously in helping to achieve the great transition that’s coming.